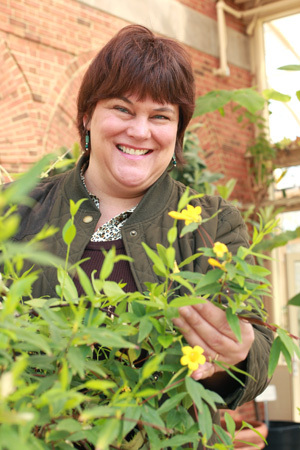 The Samford Conservatory houses a collection of plants with known medicinal properties, and Ms. Oberholster is their primary caretaker. She also teaches human biology and plant biology courses. Prior to joining the Samford community, she taught general biology at local community colleges and worked at various nurseries in propagating native plants. She enjoys researching the many medicinal properties of plants and firmly believes that the cure for cancer might now be growing in our conservatory. Blessed with a daughter with Rett Syndrome, Ms. Oberholster helps raise money for research and serves as treasurer of the Southeastern Rett Syndrome Alliance. Her hobbies include reading, walking, and watching her two sons play youth sports.